Jewels have been used from time memorial for beautification and as precious gifts passed from one person to another. They are common among celebrities, famous people and even the ordinary folks as they bring a sense of class, elegance, luxury and happiness. They are manufactured from expensive durable materials such as diamond, gold, platinum, silver and bronze. Due to their small size, complex shape and need to conserve the expensive materials, jewels must be made using special machines to produce high quality and good dimensional stability to ensure that customers are satisfied with them. They must also have good aesthetic appeal and be durable. They must therefore be machined to perfect smoothness and flatness. Most rings are cast into cylindrical shapes and later machined using lathe and mill turns. They are also manufactured from rolled flat bars though this is not common for expensive products. Due to the precision required, the production volumes are very low. In addition, most jewels are customized according to the client requirement which differ due to different physical dimensions e.g. size of fingers and neck. 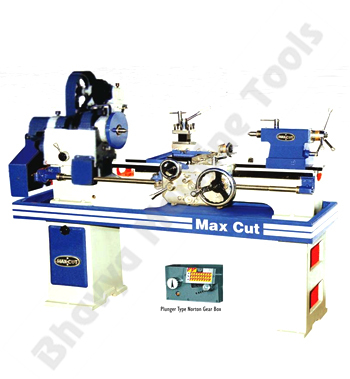 Light duty lathe machines are used to fabricate most of these rings. The material is mounted on a chuck and various machining operations done. Turning of the internal surface is done to create an internal diameter that fits on the finger while outside diameter is turned to the specified size. Facing is done on the two opposite ends to smoothen them. In addition, other processes such as drilling, tapping, chamfering and polishing and also done using this machine. A combination of these cutting operation results to the formation of the product. For example, chamfering gives the ring a wedge like edges while knurling results to a rough surface. All these operations are performed on light duty machines fitted with a small six jaw chuck to hold smaller work pieces without affecting the surface. Contractors specializing in fabrication of many custom items have to make numerous rings that differ in design. This is achieved by using CNC machine. The jewels are automatically made by adjusting the tools and feed. In addition, these devices have the capacity of not only performing the turning, facing and other conventional lathe work but can also mill and perform cylindrical grinding. 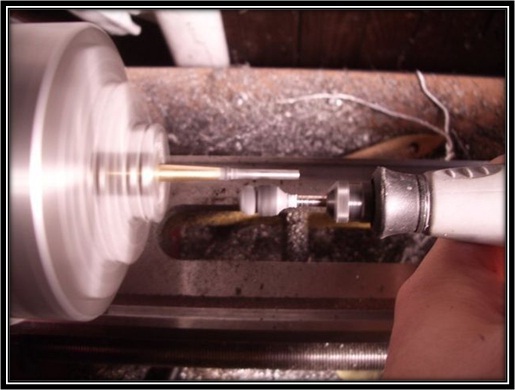 The lathe allows a wide number of finishing operations to be done on the ring and jewels. In the lapping operation, the ring is rubbed continuously against another surface with an abrasive liquid between them. This removes a very tiny layer and smoothen the ring. They are characterized by minute tool post and chuck which are designed to handle tiny work pieces. Their bed is machined to perfect straightness. They are also fitted with a plate chuck which assists in holding complex shaped work pieces. They have a smaller bed, tailstock, head stock and carriage. These machines also have low power consumption and are very efficient. They are compact, durable and have excellent functionality. This entry was posted in Lathe Machine, Light Duty Lathe Machine by Yash Shah. Bookmark the permalink.